Since times immemorial, the state of Uttaranchal has been referred to as "The Abode of Gods and Goddesses". Situated near the Himalayas, Rishikesh has been considered as one of the most sacred pilgrimage destinations since ancient times. The Rishikesh Tour is a sort of helpline to help you in deciding about the right time and place to visit in Rishikesh. It is a place that is just beyond excellence. The sacred destination offers challenging adventurous opportunities, especially the river rafting. The Rishikesh Packages offer you an opportunity to experience the calmness and peace of mind that the place has to offer. This holy place has always had something or the other to offer to its innumerable tourists. One can always find the great Sadhus and Sanyasis meditating on the banks of the sacred Ganges. The Rishikesh Tour will make sure that you have the most historic and memorable trip ever. The most ideal and suitable time to visit this place will be between September and November and March and April. The Rishikesh Packages will provide you an insight to the famous tourist spots of the place. 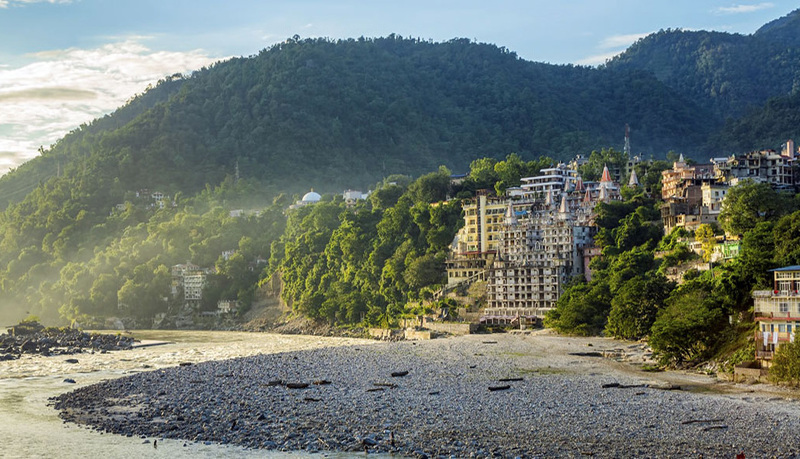 Rishikesh has also been christened as the "Yoga Capital" of the world. There are many sacred temples and ashrams to visit in Rishikesh. Rishikesh Packages offers you a chance to visit the renowned ashrams including Omkaranand Ashram, Sivanand Ashram, Vanprastha Ashram, Vitthal Ashram and Paremarth Niketan. You can also visit the famous Bharat Mandir, which draws many tourists from across all over the country. The Rishikesh Tour also provides an easy path to visit other sacred pilgrimages like Badrinath, Kedarnath, Gangotri and Yamunotri. The scenic and serene beauty of this place is simply breath-taking and mind-blowing. The Rajaji Park, which is situated at the basin of the Ganges, is another famous tourist attraction of this place. Including : Accommodation, Breakfast, Car for transfer and sightseeing. Note : 01: Rates are not valid in May and June. 02: Government service tax extra.